Editor's note: along with Joe Nocera of the New York Times, Jay Bilas of ESPN and others, I was invited by Business Insider to address the most important debate in big-time, revenue-producing college sports: should athletes be paid? If you're familiar with my work, you likely can guess my answer. 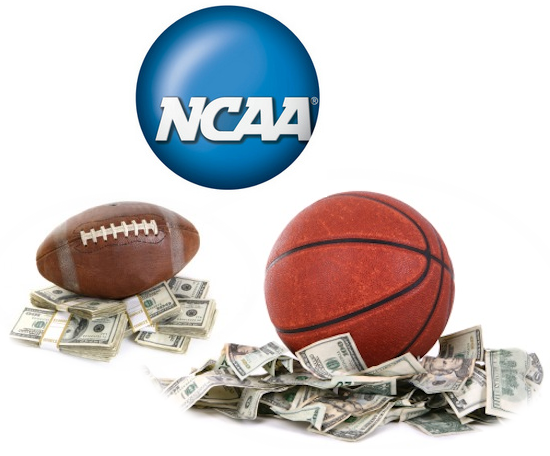 NCAA schools ought to pay their revenue-generating student-athletes. It’s the right thing to do. The fair thing, too. Unless you’re in favor of Politburo-style command economies. Problem is, paying players opens a Pandora’s Box of practical sticking points: do salaried athletes count as state and school employees? Are they entitled to workman’s compensation? To long-term disability benefits? Do players need to unionize and collectively bargain? Do college sports lose their all-important tax-exempt status? Does Title IX require non-revenue-creating female athletes to be paid, too? As such, here’s better idea: don’t pay big-time college athletes. But do allow them to get paid. Look, college sports already has a thriving underground economy of free tattoos, gratis automobiles and cash handshakes, everything the NCAA dubs “improper benefits,” all because they violate the sacrosanct concept of amateurism—that is, the notion that student-athletes should not receive any form of compensation for their sweat-drenched labor. Unless it comes in the form of an academic scholarship, in which case, it’s totally okay. This, of course, is malarkey. So dump it. Dump amateurism and make the improper proper. Treat the gushing rivers of under-the-table money currently sloshing through the collegiate system like the vast, untapped resource they are. Allow campus athletes to exploit at least some of their free market value, accepting whatever rewards they can score through their rare and valuable talents. A Lexington car dealer wants to pay superstar Kentucky center Anthony Davis to appear in a year-end model closeout commercial? Draw up a contract. A sports memorabilia merchant wants to pay the University of Alabama football team sign a bunch of helmets, posters and jerseys? Godspeed, and stock up on Sharpies. A rich booster wants to hand the likes of Southern Cal’s Matt Barkley a big, fat sack of gold doubloons, just because said booster likes watching Barkley play? No problem—so long as the quarterback reports the windfall on his next federal tax return. No, nixing amateurism simply would make our campus games more rational. More honest. It would end the NCAA’s foolish, self-defeating, market forces-denying prohibitionary era—which, like actual Prohibition, only creates an unnecessary crime problem, fostering stupid, pointless scandals where none need exist. Recent case in point: before a game between Syracuse University and Kansas State in this year’s NCAA basketball tournament, Wildcats forward Jamar Samuels was suspended for accepting $200 from his old Amateur Athletic Union coach to buy food on the road. Amateurism is a bad rule. It creates the corruption it purportedly exists to prevent. Besides, it’s downright un-American: did anyone want to suspend and punish Natalie Portman for taking money for acting while attending Harvard? Strike the law down. Stop pretending that a bogus athletic philosophy concocted by snooty, upper-crust Victorian-era English rowers who didn’t want to compete against unwashed factory workers—a long con even the Olympics has jettisoned—is somehow the college sports equivalent of the Constitution. Stop treating college football and basketball players like Faberge eggs teetering on the edge of a compensation cliff. Start treating them like young men perfectly capable of handling their individual economic affairs. The free market usually knows best. Give it a chance to function. Also, if the whole point of the NCAA is promoting student-athlete welfare and education—as opposed to cartel monopsony—then here’s a second, badly-needed reform: make scholarships redeemable toward schooling any point in time, and not just while athletes are eligible to play sports. Being a college athlete means holding a physically demanding full-time job, one that requires frequent travel and missed classes. Far too often, players spend their school time staying eligible instead of getting educated—former Duke star and current NBA player Shane Battier told a Congressional panel last fall that his professional basketball schedule was easier than the one he had in college, and that the primary reason he majored in religion was that those classes were available when he wasn’t practicing. Give college athletes the ability to pursue their studies when it works best for them—after their college sports careers, during their pro sports careers, whenever—and the result will be better-educated, more productive members of society. Let them receive money and benefits, and they’ll get a jump start on contributing to the tax base, too. Everyone wins.